I was born 45 km away from the birth place of Leopold Ruzicka, the man who made the macrocyclic musks 80 years ago and my other name on my birth certificate is the maiden name of his mother. I didn't know that 20 years ago when I first read the high dilution method he used to make the new musks, a technique I was ready to duplicate in the Organic Chemistry Faculty. 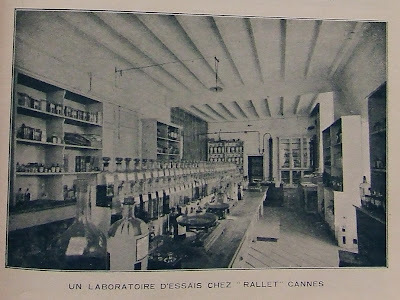 The lab was my playground and since then Baudelaire, Lalique and science textbooks share the same place in my room among precious bottles.Don't blame me if I love chemistry, I see no contradiction with Nature and Art! 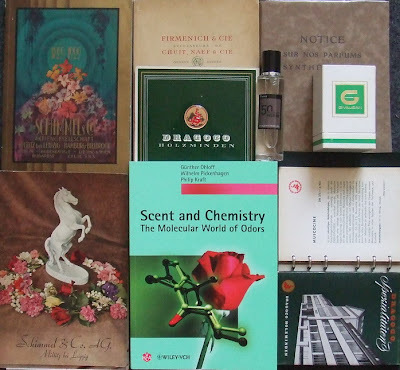 The new edition of Scent and Chemistry: The Molecular World of Odors, originally written 20 years ago by Günther Ohloff, is like a perfume, a dense collection which opens the gates to the huge library of odors in the world, a book which can be used in many ways - a manual, a memory tool, the starting point for a scent investigation, an index to more detailed work in the scientific literature. The opus "Scent & Chemistry" is written by three eminent chemists, but it is signed with the heart of a perfumer paying respect to more than a century of fragrance research and it emphasizes the contemporary part of the perfume industry. Günther Ohloff (1924-2005) was Firmenich research director from 1968 until his retirement in 1989, his scientific work is documented in 228 publications and 111 patents. Philip Kraft (1969-) joined Givaudan research in 1996, has authored 78 publications and 27 patents and invented Super Muguet, Azurone, Pomarose, Serenolide, Cassyrane, Sylkolide. 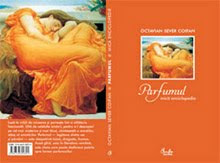 The latest chemical research, more than 1500 molecules with their structures, more than 300 new exquisite perfumes using special ingredients, more than 800 references from the scientific literature and more than 400 pages about the molecular world of odors illustrated with the "picture" or Pomarose on the cover make Scent and Chemistry the most coveted book of the year. It is dense like the most complicated floral absolute and a useful tool when one knows how to use it. It shows that only a small fraction of the scented universe is known. Many jewels are reserved for perfumers and other are kept in precious vials by several chemists in Switzerland before few of them would ever be produced for the market. There is undoubtely a chemistry between us and our fragrance, between a perfume lover and the perfume, but what is chemistry for a perfume lover? 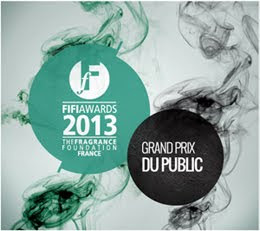 Chemistry is at the heart of perfume's art and without chemistry we wouldn't be able to speak about aesthetics today. These "chemicals" with impossible names are the bricks of our universe - the alphabet of life. Their study is the essence of knowledge and science of life. The vocabulary of perfumes, extremely rich and dense, but not easy to learn, appeared thanks to chemistry and not exactly because of perfumers. 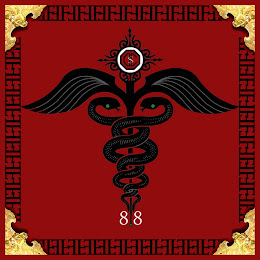 Perfumers rarely speak, evoke, explain, unless they do not fear to lose their "secrets" in an extremely naïve attitude in the third millennium. They do not need to verbalize. But chemists needed a practical, precise and concise approach in order to understand, classify and re-produce the odors of nature since the development of organic chemistry. 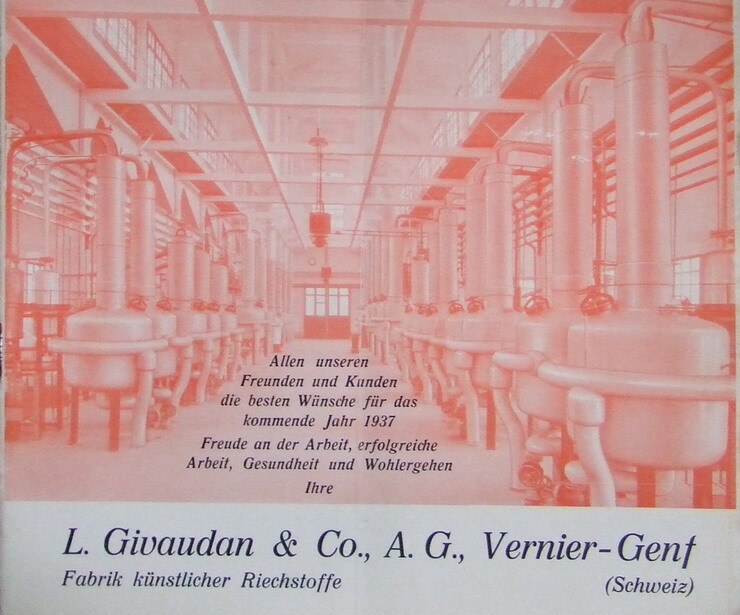 They were also the first to publish descriptions when patents became a major aspect of the industry. In the contradictory world of perfumes, a chemist is appreciated by the number and quality of papers he signs while a perfumer is often silent like a Sphinx and his name disappears in the sands of time. 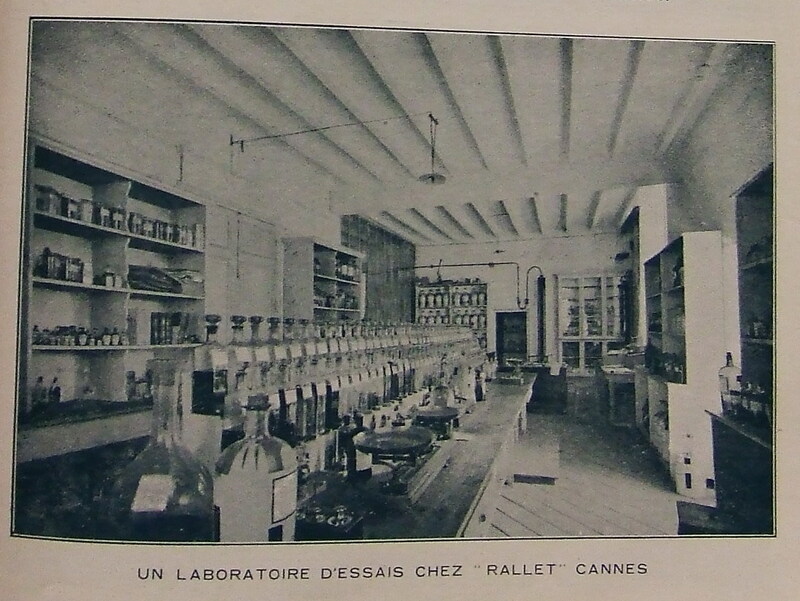 From this mutual interference art-science evolved the modern art of perfumes and a new understanding of the past. For instance, what precisely is a musk? Dr. Philip Kraft, one of the authors of Science & Chemistry, is one of the few on this planet who knows in detail what is the nature of this mysterious word which captivates the human kind since centuries. During his research when he invented for Givaudan the new musks (five categories in 2012 presented at p.363) Dr. Philip Kraft smelled more than 1000 musk molecules, a process similar to what Carl von Linné did for plants when he invented the botanic taxonomy. Smelling one thousand musk molecules is like reading the most encyclopedic definition of a word with all its synonyms in a dictionary. The world "natural", unless it refers to something strictly defined by cosmetic legislation in Europe, is very tricky. A ratio between the fragrance ingredients that are truly man-made (they have not been reported in nature) and those which are key odorants in plants, often found in trace and re-produced in lab, will surprise many consumers. Several man-made molecules, not reported in nature when they were invented in the previous decades, were only recently spotted in traces in exotic plants. It is the case of some musks or some molecules which act as pheromones in the animal kingdom, but are not labeled under this name on a perfume organ. It is difficult, if not impossible, to say that X odorant cannot exist in nature. Under the exotic name "Anjeruk", a modern specialty of Givaudan, you will not find an artificial demon (it contains a sulphur atom), but the key ingredient of "Citrus nobilis", developed after an original research. 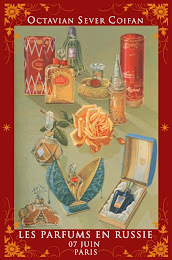 The recent Delphol HC, Delphone and Splendione from Firmenich are sparkling jewels, the diamonds of the transparent jasmine note with a fruity theme, while Karmaflor is the most astonishing salicylate made after its discovery by Roman Kaiser in the exotic indian flowers of Saraca, now at the disposal of perfumers. Silicon based odorants, still a research theme, open the landscape of an unknown word which smells science-fiction, like the long sought after Spice from Frank Herbert's DUNE. Learning how to smell and learning what an ingredient stands for is a process which started with chemistry and through the patient analysis of essential oils at the end of XIX century when perfumers began to understand what they were smelling. You cannot know what "tonka bean" stands for until you smell pure coumarin, you cannot understand what "vanilla surabs." can bring in a perfume without knowing vanillin and you cannot describe jasmine without knowing what it contains. If people speak today about "the indolic quality of a flower" and they extrapolate a known quality of the garden jasmine it is because at the end of XIXth century a man called Hesse analyzed the jasmine oil and showed the amount of indol it contains. The vocabulary of perfume art owes to chemistry the precision and the truth. You cannot blend intelligently naturals if you do not know the molecules which makes them or if you do not know the history of perfumes, what other perfumers did with the same "blend" in the past. For instance, the transition between the ambery and woody family is explained at page 34 of "Scent and Chemistry" with the example of 8 sample odorants: (-)Ambrox, Amberketal, Ambrocenide, Timberol, YsamberK, IsoESuper, (+)cedrol, Folenox. 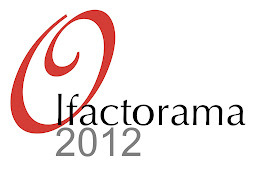 Organic and analytic chemistry are the microscope of the perfumer. They show what a natural smell is, how Nature generates a composition perceived as an harmonious unity of odors. 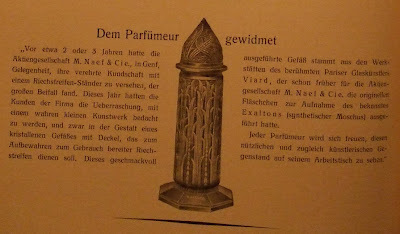 They allow also the creation of other details often perceived by the nose as a trace or impurity in the general scent. For example, cis-jasmone, (-)methyl jasmonate and (+)epi methyl jasmonate and other jasmonoids occur in a number of other plants providing clues for the creative perfumer (p.262). Chemists working in the fragrance industry are a special type of artists thinking through craft, a concept I borrowed fro the history of XIXth century art. They imagine molecules, design an incredible variety of scented jewels and select only a few of them which will be used in the future by creative perfumers. While none of them would call himself an artists, they are actually engineering the emotions of the future generations, they generate the bricks which are responsible for everything you'll love and feel in terms of odor. They are architects of the invisible before the perfume is given a "visible" and memorable shape through the work of perfumer. A great perfume is always the perfect mix between art and science like the building where the architect and the engineer combine their knowledge to create an outstanding work. The art of perfumes in France is by definition artificial and the aesthetic concept of artificiality shaped this art since the XIXth century and the writings of Baudelaire on beauty. 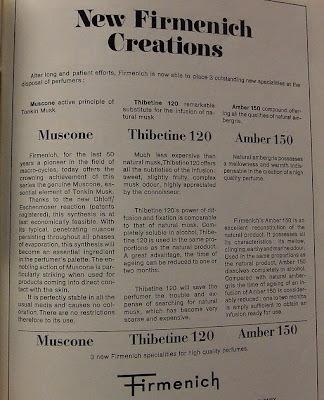 Great perfumes of the XXth century understood the potential of chemistry and placed the new molecules at the heart of their creation. 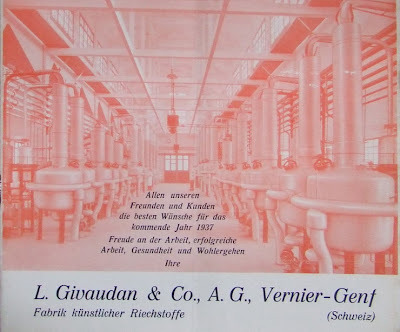 In the past I spoke about Jacques Guerlain and the interest that Guerlain had for chemistry since the very first days of the new science in XIXth century Paris - they had labs, patents, research, even if it was on a small scale, and collaborated with the first companies who sold molecules. "What do you understand by creation in perfumes?" "This expression has for me a particular meaning which some would probably judge too restrictive. It is not about making a new product by mixture or combinations of already known bodies. No. 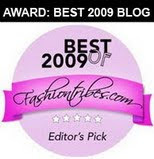 Creating a perfume it's about inventing an original composition based on at least one new ingredients which can be given by Nature or by Chemistry[…] I am my only inspiration." 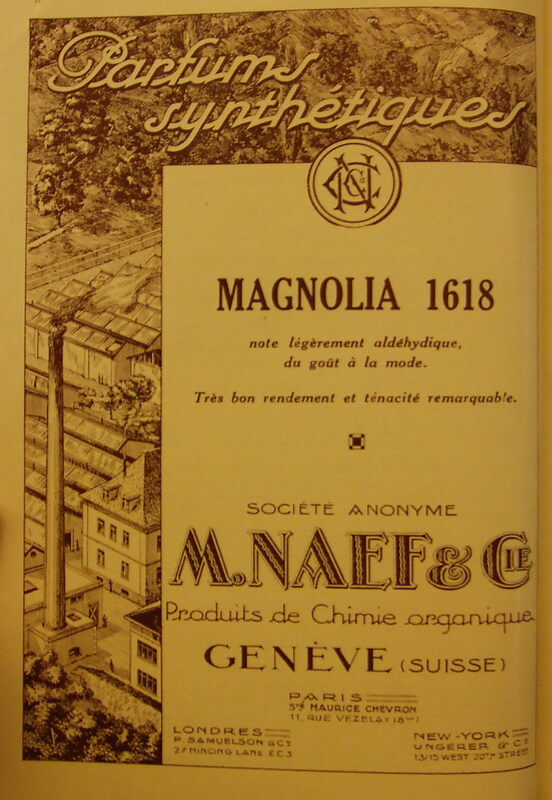 Since late XIXth century the chemical literature related to perfume ingredients, whether of natural origin or imagined in the lab, increased with an outstanding factor, making the study of scent ingredients for perfume creation one of the most sophisticated areas of interest. With more than 10 000 perfumes around and a number of ingredients several magnitudes higher (considering that every natural has its chemical specificity which must be known by the perfumer) the study of odors is an entire adventure. Unlike any other artistic domain, the perfume art is additive - you cannot omit or discard the previous knowledge as you cannot take out from the blend the oil you have just added. 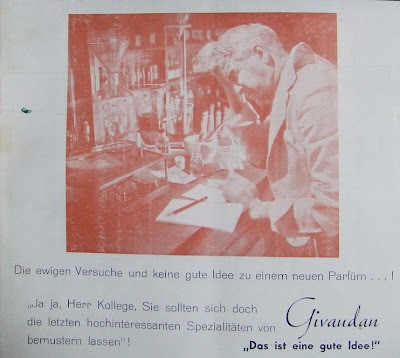 In my library I have the impressive collection of German pre WWII Berichte, other 3 volumes devoted only to aldehydes, and thousands of patents since the first days of organic chemistry. But since that time, the amount of science (the study of naturals and the development of new molecules) became impressive. How do you use, learn, study, memorize everything which is under our nose and have an up-to-date picture of the chemistry of perfumes and odor perception? The magnum opus Scent and Chemistry is one of the answers - an entire library is packed inside the 300+ pages like proteins adopting the most clever spatial solution for their complex structure. You open the book and you endlessly read until you know by heart what it contains, like the perfumer who smells his entire life the same essences until he knows how to use them. The new Scent and Chemistry is an up-to-date version of the condensed magnum opus originally written by G. Ohloff in 1990 and it can be considered the most accurate picture of the scented landscape today. It has behind a century of research and the experience accumulated by three noted chemists: Günther Ohloff, Wilhelm Pickenhagen and Philip Kraft. 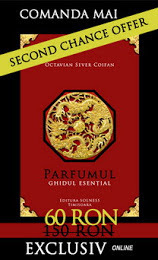 The book started as a first opus 20 years ago, a precise and very detailed presentation of the chemistry of perfumes written by Günther Ohloff, first in German then in English, focused also on the creative side of the industry and the impact many molecules had on new perfumes. Ohloff, is the one of the scientist behind the modern amber notes, a long Firmenich history presented in Paris several years ago during a conference at the SFP. 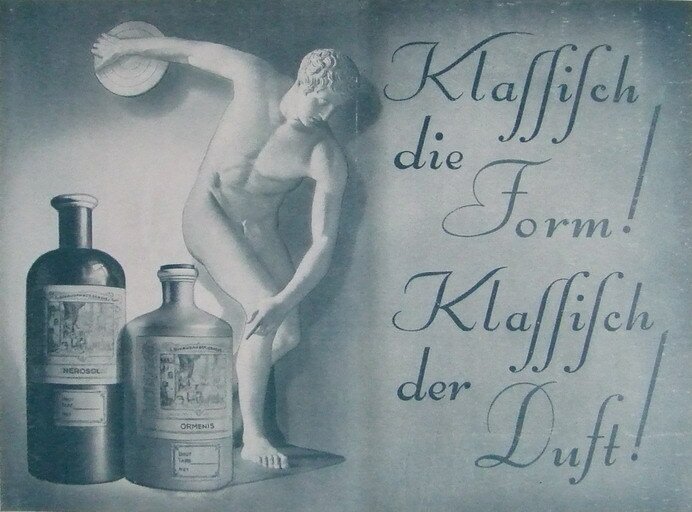 But since Ohloff wrote the first edition of "Scent & Chemistry", an entire revolution took place. More advanced research for naturals, more molecules and of course an incredible amount of new perfumes which demonstrate the possibilities of the new art. The new science is also perception, the relation between chemical structure & odor allowing the design of the new lily of the valley notes or sandalwood. 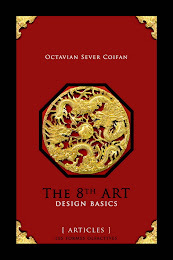 The first book, a brief and concise presentation, has almost doubled in size. The new Scent and Chemistry is a useful tool for every perfume lover to understand and appreciate the science and decades of work behind all major creations. It does the most honest appraisal of the immense science and research behind every new note or creation which seduces the consumer. For instance, the success of Serge Lutens is also the perfect blend between art, poetic sensibility and chemistry and in some cases they use impressive amount of naturals combined with new molecules. Various chapters from Science & Chemistry provide the right information to understand many contemporary perfumes. There is only 2% of rose damask absolute in Sa Majesté la Rose and that's a huge dose today. Iris Silver Mist contains 25% of the molecule Isoraldeine and 4,5% orris butter, while the woody perfumes derived from Feminité du Bois have around 14% of the powerful Isoraldeine prepared from citral. 0,5 % of methyl ionone is found in Cuir Mauresque. Miel de Bois contains the powerful Ambrocenide. Gris clair has 14% of lavandin oil, but also 7% of linalyl acetate. Bornéo 1834 has 8% Iso E Super and 2,3,5-trimethylpyrazine in a Quest base around the impressive amount of patchouli oil. 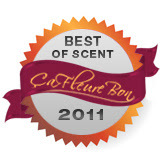 A la nuit contains an impressive 0,35% jasmine absolute, an exceptional amount in modern perfumes. 43% Galaxolide is the main theme in Clair de Musc. In Scent & Chemistry you will discover many of the "secrets" behind great creations, amazing ingredients which made a revolution when they were used for the first time opening new paths in perfume creation. One of the most useful elements of the book is the presentation of the impact of an ingredient through modern creation. 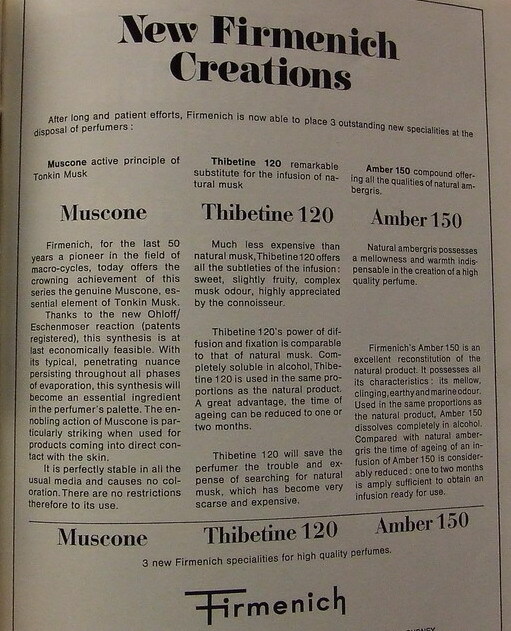 A careful study of the landscape of modern creations launched since 1990, the first German edition, brought precious information about the possibilities of both natural and synthetic ingredients. 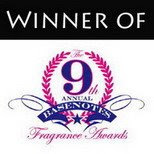 0,36% Pomarose in Be Delicious for Men (DKNY, 2005) and 0,18% in 1 Million (Paco Rabanne, 2008), 0,09% b-damascene and b-damascenone in Poison (Dior, 1985), 2% isolated (-)(R)-lavandulyl acetate in Brin de Réglisse (Hermès), 0,7% Magnolione in Eden (Cacharel), 11% vetiveryl acetate in Arpège (Lanvin), 12% Vertofix Coeur in Chanel 19. Many perfumers are so obsessed with their secrets they cannot have a proper conversation about scents while their approach about art subjects is naïve because of poor education and lack of proper readings. I remember a conversation I had in Paris with a perfumer who worked for Chanel and evoked the type of ylang used in the famous perfumes of the house, but when I asked to describe the odor I was gently refused because it was "top secret". Other perfumers have a Sphinx attitude about olfactory experiences which will certainly not help them to get appreciated anywhere. 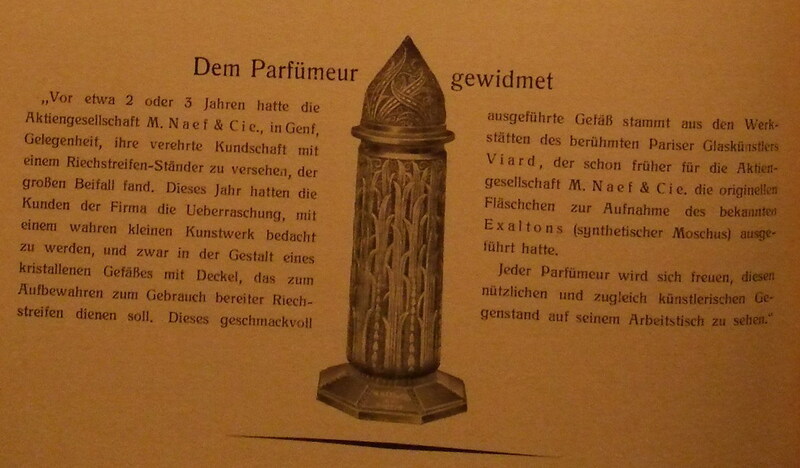 The magnum opus "Scent & Chemistry", because it is written by chemists, shows the details of famous perfumes. No poetic names, notes or fancy words, but the precise ingredient, either natural or artificial, and its relative amount in the formula. 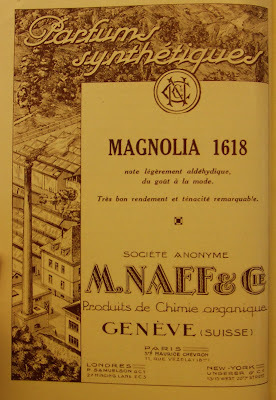 It is certainly a small revolution because the perfume is presented with its objective dimension showing the importance a certain ingredient has for the perfume history. The most interesting and perhaps the most complicated part of the book is the chapter devoted to the Structure Odor Relationships: "the elucidation of the relationship between the chemical structure and the olfactory properties is the basis for the targeted design of new odorants" (p.61). You will discover the scent and its evolution for nitrile vs. aldehyde functions; for oxa, thio and thia analogs for rose oxide, exaltolide, ambrettolide, furaneol; for sila odorants (silicon versions of linalool, beta ionone, geraniol, Coranol, Mugetanol, Okoumal); for Ge, Sn, Si and even fluorine substituted odorants. Theories about molecular shape and odors are presented along with the scent of (E,Z)-isomers, the steroids and the powerful woody steroids, the controversial existence of human pheromones "the armpit, this charming grotto, full of intriguing odorous surprises" (p.95) followed by the odor rules for sandalwood, amber, musk, vetiver, and the surprising Muguet olfactophore model (p.110), the most gourmand model for the caramel odorants, the marine olfactophore of a new generation of oceanic notes (Azurone, Aldolone), and the enantioselectivity of the odor sensation (the +/- carvone, the S/R celery ketone, the +/- patchoulol, the various jasmine notes). 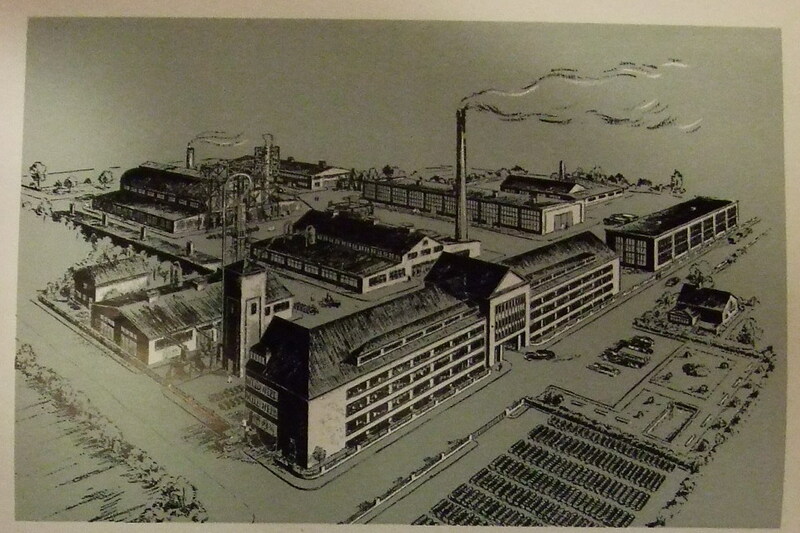 In this image from my archive you have the team from Dragoco factory at Holzminden (now Symrise) in the mid 50's. 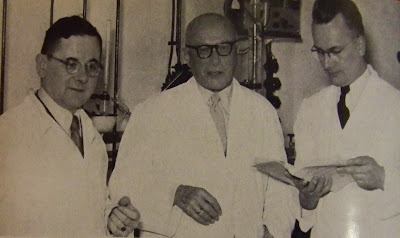 Thomas, the chief for analytic chemistry, in the middle, Pampel, the chief perfumer, and on the right the young chemist Günther Ohloff, who worked for Dragoco between 1953 and 1959. Tomorrow you will read an exclusive interview with Dr.Philip Kraft about chemistry, perfumes and the new edition of Scent and Chemistry.